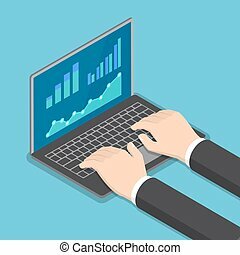 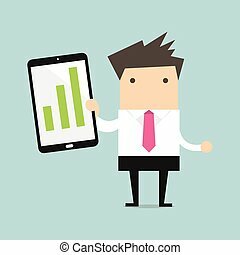 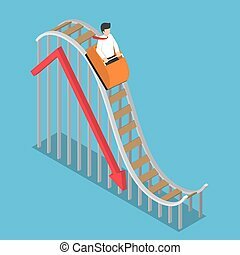 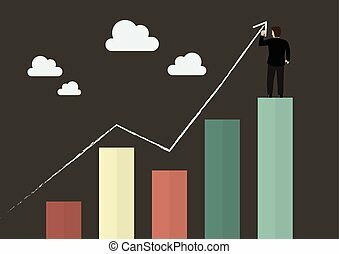 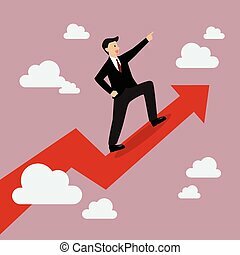 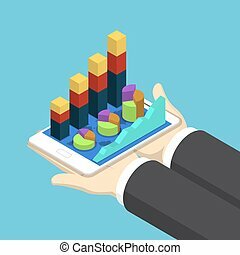 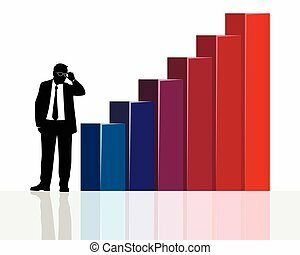 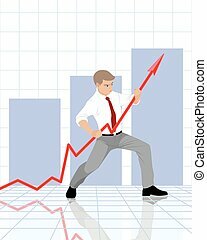 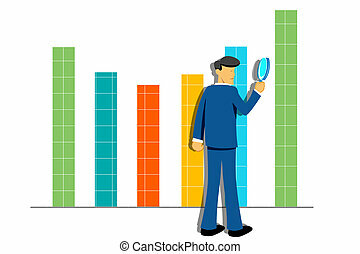 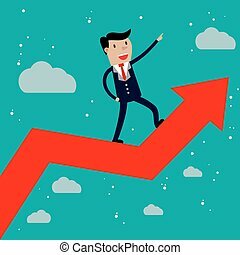 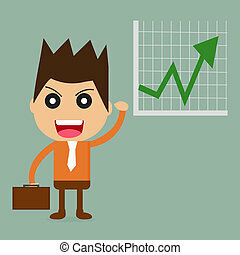 Businessman with growth graph on a tablet, vector, eps10. 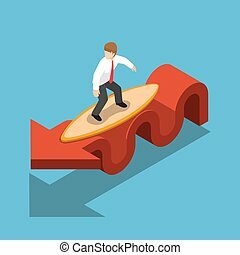 Flat 3d isometric businessman surfing with surfboard on red graph. 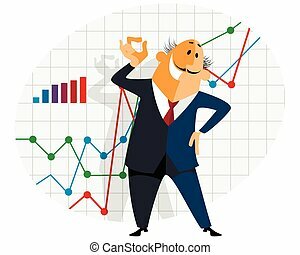 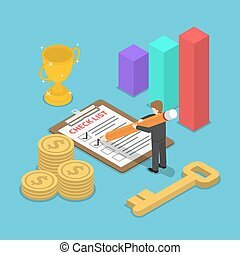 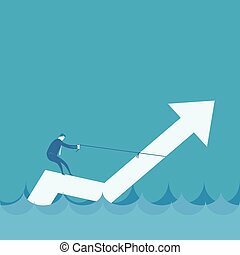 Stock market and financial concept. 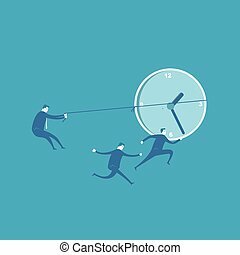 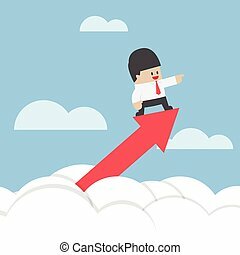 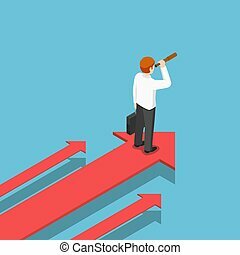 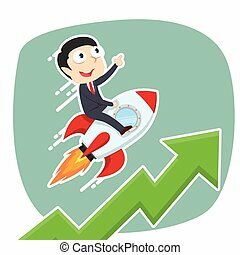 Flat 3d isometric businessman with telescope standing on arrow that moving forward. 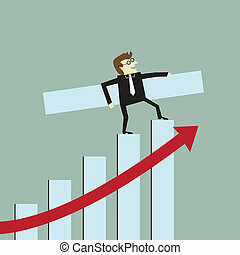 Business vision concept. 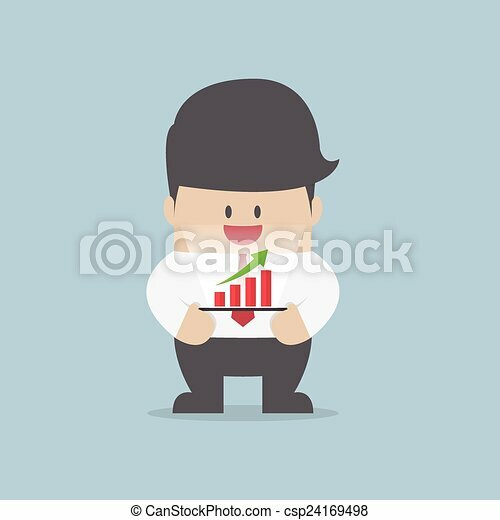 Flat 3d isometric businessman standing on red arrow with his arms crossed. 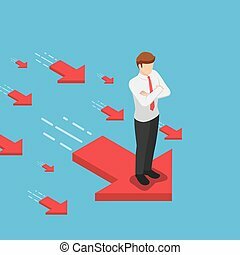 Leadership and business success concept.